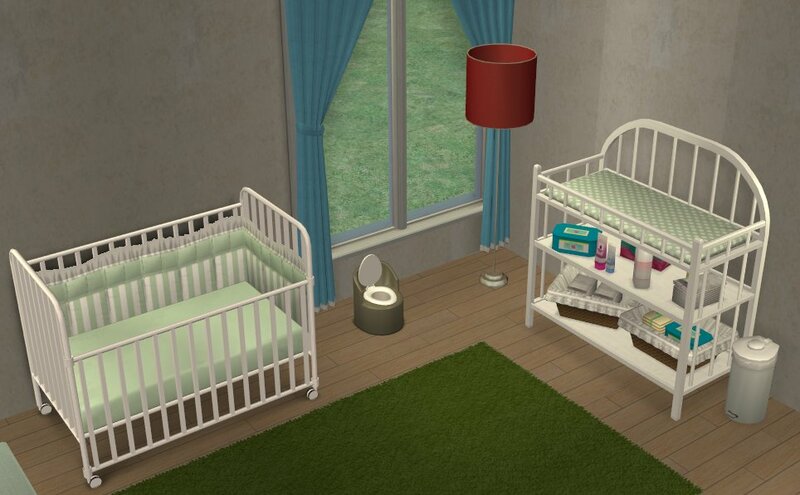 Lovely CC sets that use EA Cribbing need lovely EA Cribbing to use. And EA Cribbing needs matching Change Table. So here. Have some! In MLC Palette - 21 Colours (of course). Curtain is Secret scuba curtain from here. Remind me in August I need to do the Stendhalic in MLC palette - it is gorgeous (has ceiling, table, floor types - all using same texture). It's like you read my mind or something. Thank you for all the pretty cribbing! MLC's colour pallette is really perfect for toddler stuff. I love the MLC palette and I love these recols. Thank you!